A few months back we got an urgent phone call from Camilla at Mechanical Support Systems. The steel cable trays on a major building had been powder-coated in the wrong colour – could we help please? I was not sure what I was getting into here, or if there was any correlation to the 50 shades of grey! 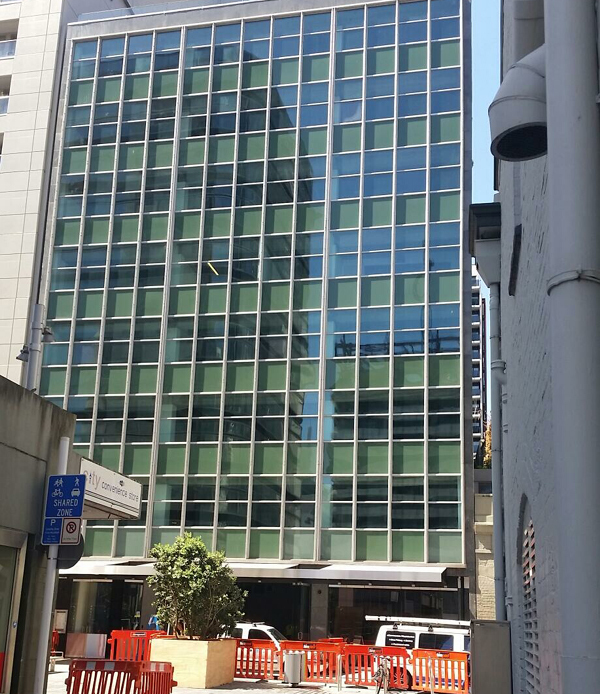 We arrange for 10:00 am and I meet Camilla at 85 Fort Street, downtown Auckland. I find 8 levels of major building renovation and 8 levels of cable trays … the wrong colour! What to do? How can we assist in rectifying the problem? We visited all floors to get a feel for what was involved. My knowledge of recoating over powder coating is that if you get it wrong, the paint will fall off! So the first thing we needed to do was find out whether the powder coating was an epoxy coating system or a polyester coating system. Camilla dropped some samples off to us for the trials, and with the assistance of John from Altex Industrial Coatings we came up with solutions. This was developing into a larger job than we had anticipated. Could we undertake this work? – Could we supply a painting specification for each requirement? – Could we supply the lineal meters and costing for each service? – Could we perform and complete the work on time? – Did we understand the on-site difficulties working with the many sub-trades on this site? After working through these questions using our own project planning processes, we were confident we could take this job on. Camilla and Hayden from Mechanical Support Systems co-ordinated this work with the other three contractors involved. This really helped to keep costings as competitive as possible even with each separate surface requiring a different specification. – Galvanised steel surfaces to be degreased and scotch-brite abraded. Prime with Altex Ultra etch primer and top coat with Isotal top coat. This covers the fire sprinklers and the air-conditioning units. – Cable trays (including the holding bolts) to be Scotchbrite abraded and painted in Chembar Vinyl Acrylic paint. There were many challenges but we were able to meet each one as it arose. For instance, in the areas allocated to us, other trades were able to keep working because we used our large venting fans to remove the fumes from our spray painting operations. In addition to the venting fans, we also used our specially developed LED lighting to give maximum visibility in difficult conditions, including working at night and on weekends, which we did to ensure the project was completed safely, on spec, on time and on budget. We are happy to say that with the assistance of Bob from Alaska, this project was completed successfully in the time required and within the budget. 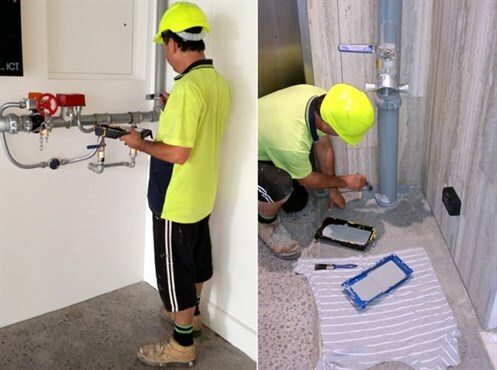 “Unique Services are currently coming to the end of a commercial painting job on the Fort Street project with my company MSS. This project has been very difficult from the onset with tight time frames and at times very poor access with a large number of contractors having to work in the same space. Noel Johnson and his team have been a dream to work with from the beginning with real expertise and passion for the services they provide. They have worked in with the main building contractors to provide an outcome that is to a very hgh standard and have consistently met the aggressive time frames and finish times on this multi floor project.